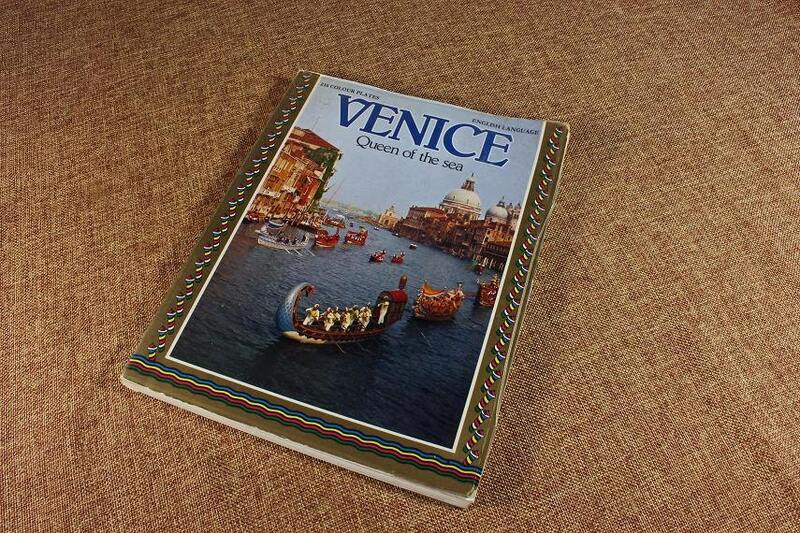 A wonderful history book on the city of Venice. 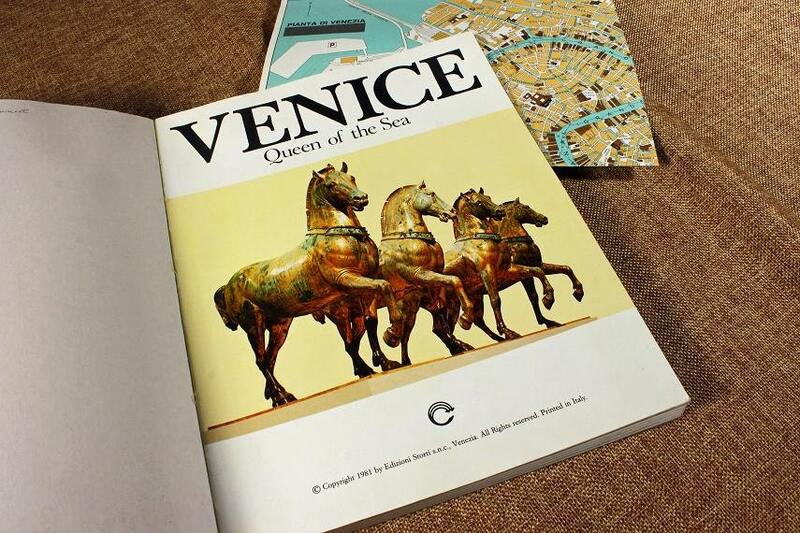 Venice is called the Queen of the Sea and this book tells and shows you why. It has gorgeous photography to go with the history. 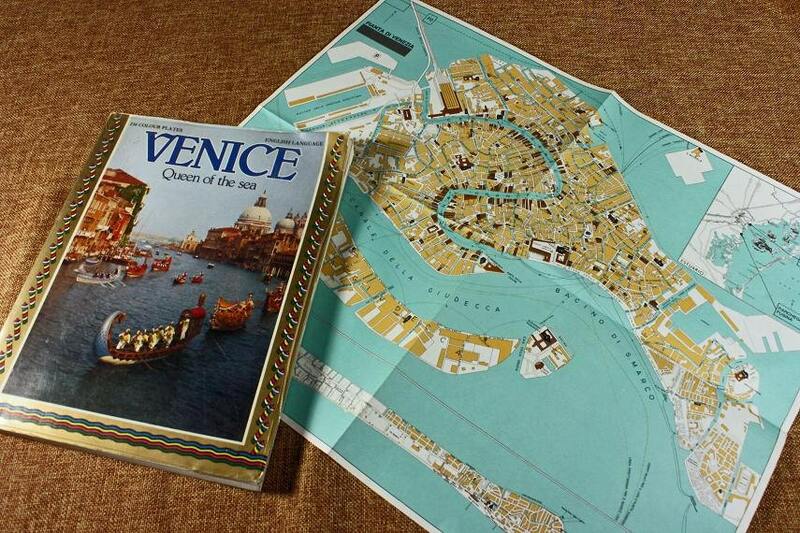 It includes a map of the city. 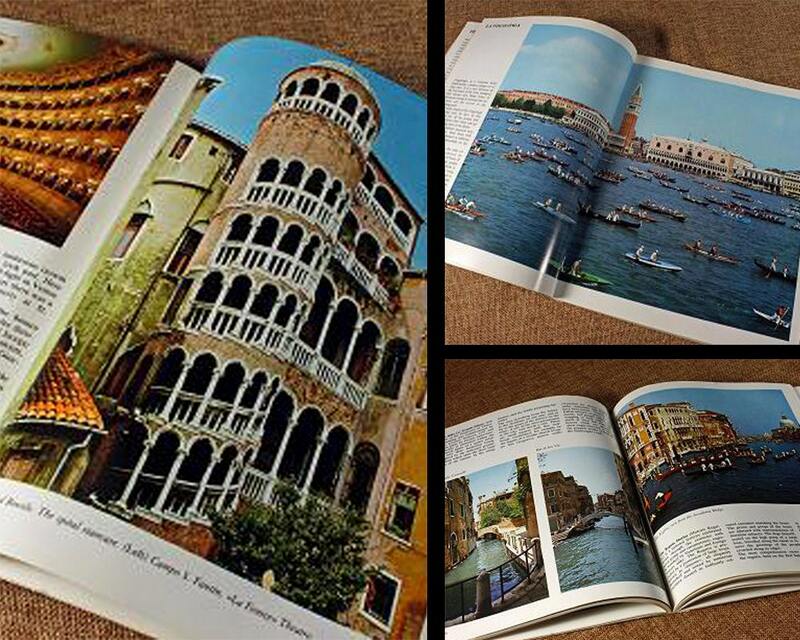 A great book for the collector or history lover. 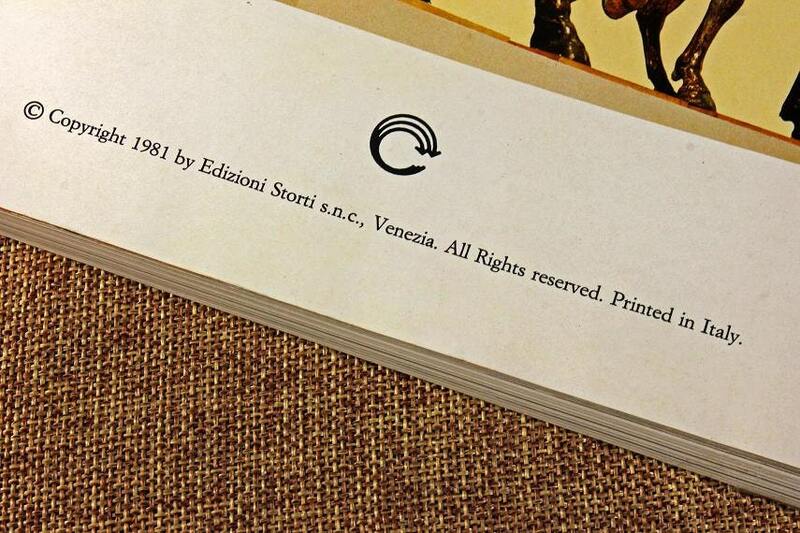 It is from 1981 and was printed in Italy. This book is in good condition. The book has a plastic cover over the front and back covers which has protected it. The inside is clean with no rips or tears. On the inside of the front cover is the name in ink of a previous owner. The binding of the book is intact with no loose pages. There is rubbing to the corners.